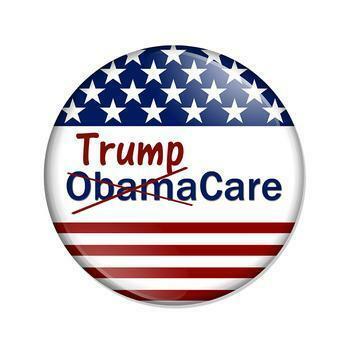 On the second attempt, House Republican leaders mustered the necessary votes to repeal the Affordable Care Act (ACA), also known as Obamacare, and make changes to the healthcare system that has been in place for the last six years. The measure passed 217 to 213, with 20 Republicans joining all 193 Democrats in voting against it. The bill now goes to the Senate where it faces an uncertain future. If you now have health coverage because of an expansion of Medicaid in your state, your coverage could be at risk. The measure would roll back expansion of Medicaid in states that received money under the ACA to provide coverage to more low-income consumers. Consumers who receive a federal subsidy to help pay their health insurance premiums could see an adjustment. The House bill would do away with the current subsidies and replace them with tax credits of between $2,000 and $4,000 a year. The amount of the subsidy would largely depend on age. It would also depend on income levels. The amount of the tax credit would be reduced for people earning $75,000 or more a year, or families earning $150,000 or more. To placate members of the House Freedom Caucus, the bill's authors also added language allowing states to reduce or eliminate "essential services" coverage. Under the ACA, maternity coverage is considered essential and must be included in every policy. Under the House bill, it is not. States would also be empowered to allow health insurance companies to charge higher premiums for policyholders with pre-existing conditions, something the ACA does not allow them to do. While Democrats opposed the repeal, they also predicted Republicans who voted for it will pay a high price at the polls next year. Rep. Louise Slaughter (D-N.Y.) told The New York Times she had never seen so many lawmakers commit "political suicide." AARP also opposed the repeal. In a letter to lawmakers, AARP's Nancy Leamond said the House bill repeals parts of the law that have made Medicare financially stronger, specifically, the repeal of the additional 0.9% payroll tax on higher-income workers. "Repealing this provision would remove billions from the Hospital Insurance trust fund, hasten the insolvency of Medicare, and diminish Medicare's ability to pay for services in the future," Leamond wrote. The repeal of the ACA is far from a done deal. Republicans have only a small vote cushion in the Senate and several Republican senators have said they have serious questions about the House bill.